This entry was posted in Beware of Movies, Geology, Geology for the Masses, Movies, Science, UREES101 by Penny. Bookmark the permalink. There can be earthquakes anywhere. Sometimes they’re caused by re-activation of ancient faults (like New Madrid), but there are other causes as well, unrelated to tectonics. For example, minerals will change their structure under heat and/or pressure, and in doing so will change size and (if enough change) will cause a small earthquake). Along the eastern part of North America, old fault systems are often the culprit, left overs from when Africa slammed into North America 300 million years ago (I probably have that number wrong, but it’s close), and then broke away again 70 million years ago. 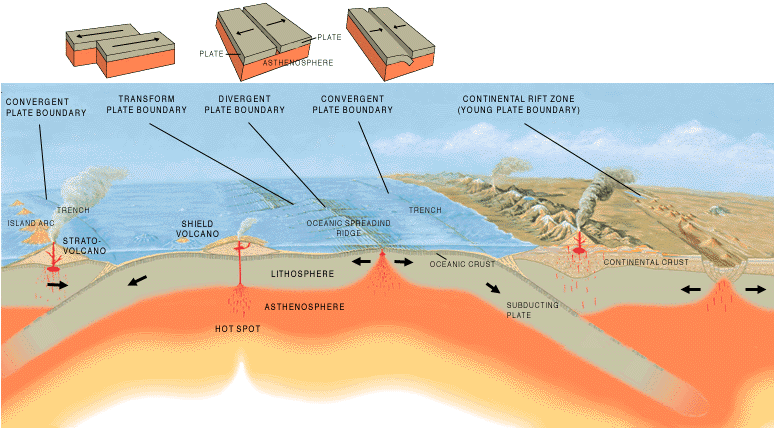 The continents are under constant stress from plate tectonic movement, even near their centers, and sometimes that stress is relieved by motion along a pre-existing fault.